So I have an extremely simple, spring-like, fresh and easy to make little dessert for you today. Fresh, tart fruit salads often take up prime real estate in my refrigerator, especially this time of year. I make them almost weekly, so I'm often searching for different ways to make them so that I don't get bored with them. 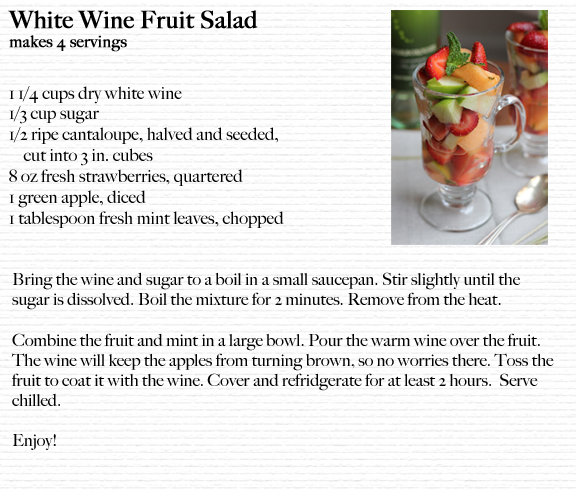 I was ECSTATIC when I found this recipe since it combines two of my favorite things: white wine and fruit! The combination of the wine and sugar makes this tangy, sweet dressing that brings the fruit to life. I used Sauvignon Blanc (my favorite wine), but you could use whatever white wine you like. I think this would be perfect for a simple, yet elegant little dessert for a spring dinner party or wedding shower. This is so pretty!!! I imagine this would be heaven on a hot day. Wonder how champagne would do? 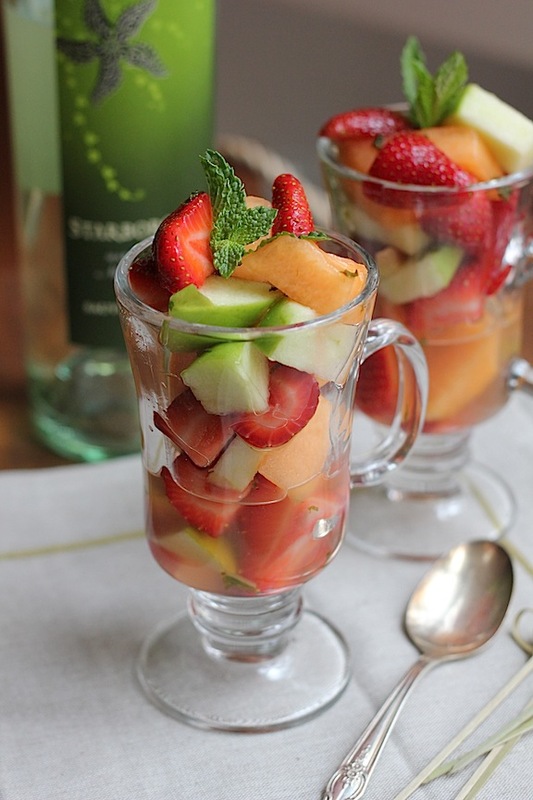 Craving this now, looks so sweet and refreshing! Yum! I will have to keep this in mind for a girls brunch this summer. 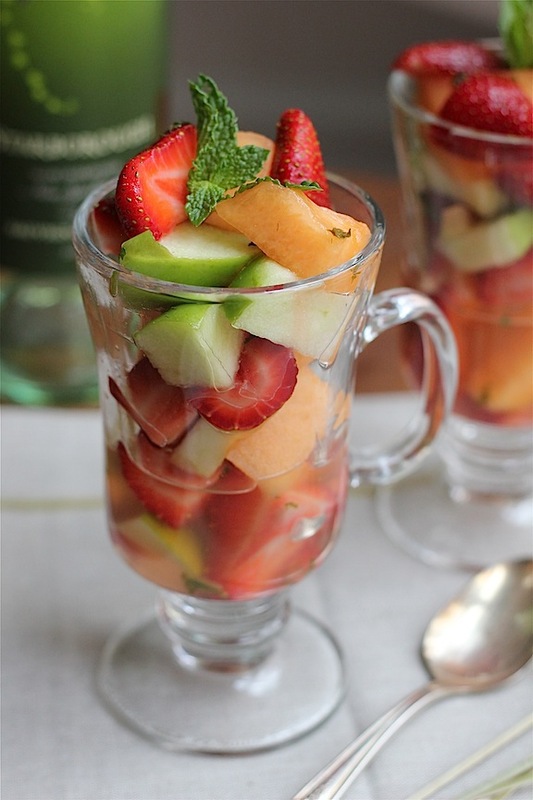 I'm obsessed with fruit soaked in white wine. I love this on a warm day! 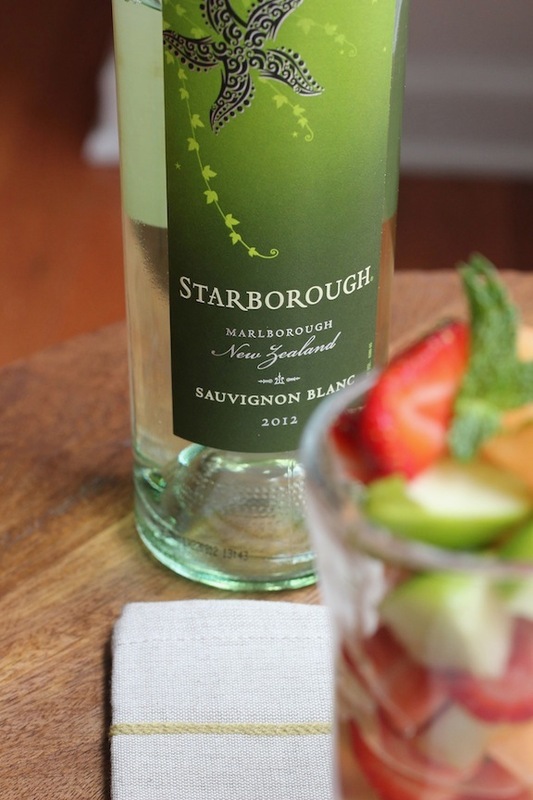 Your fruit salad looks so delicious, I love the idea of mixing it with white wine!